Bigger is better in the American South: big trucks, big personalities, and most of all, big ambitions. 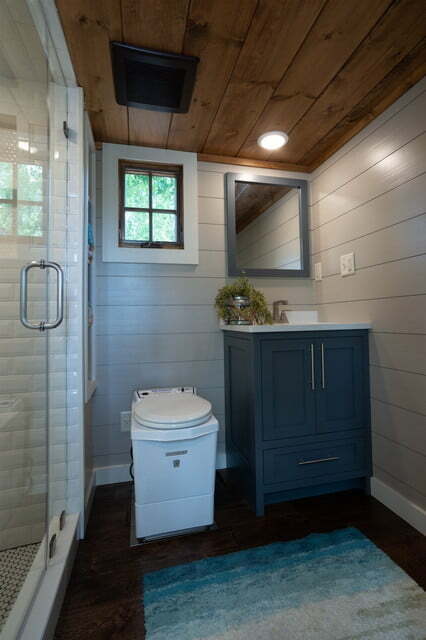 So, it shouldn’t surprise anyone that a new outfit out of Guntersville, Alabama has come up with a tiny home that is gargantuan compared to others on the market. The newest product from Timbercraft Tiny Homes is a pretty amazing 42-foot tiny house that can be moved in a 10-foot-wide gooseneck trailer and has just less than 400 square feet of floor space inside. 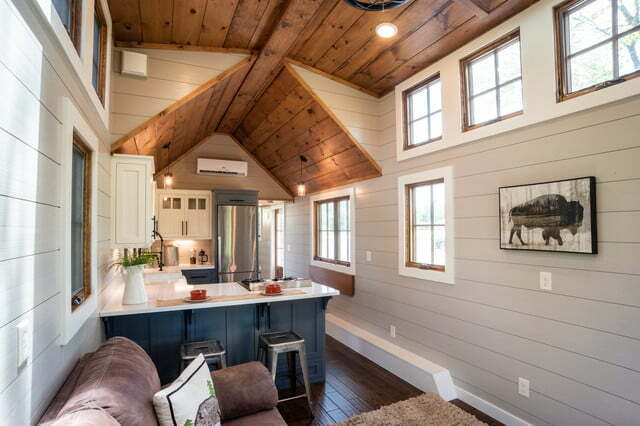 The Denali XL is the biggest offering from Timbercraft Tiny Homes, whose offerings range from a relatively tiny 20-foot Ynez model to a manageable 24-foot Boxcar model to a slightly smaller version of the Denali that comes in anywhere from 35 to 41 feet. But the Denali XL is a mansion by tiny homes standards, containing the aforementioned 399-square-feet of living space, with an additional 65-square-feet above the bathroom. 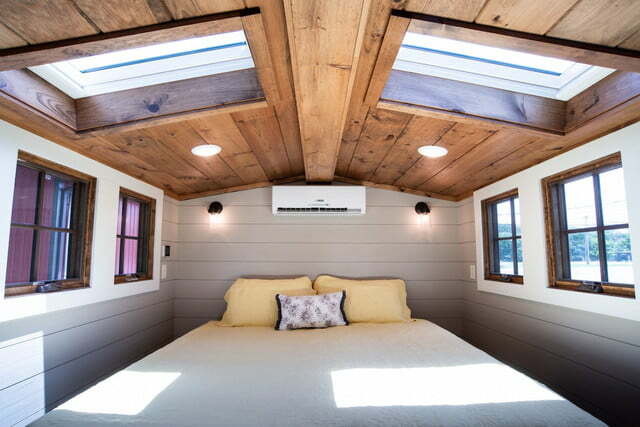 The tiny home features tall ceilings, powered skylights, and two air conditioners to make sure owners always have plenty of fresh air. It also uses an advanced form of insulation based on closed cell spray foam technology that not only makes the home easier to heat and cool but also strengthens the walls. Often, tiny homes can be a giant pain to move into place. Timbercraft’s smaller homes can fit on a bumper pull trailer and they all come with standard RV style hookups, so you can drop one into a trailer park easily. The bigger ones like the Denali XL are more of a challenge. These homes can weigh as much as 20,000 pounds and require a gooseneck trailer to get into place. However, any of Timbercraft’s tiny homes are under the width and height restrictions of the Department of Transportation, and you don’t need any special licenses or permits to move them. You will need a one ton or larger pickup, though. You can check out Timbercraft Tiny Homes’ website for more information about pricing, but the Denali XL will run you about $125,000 for a basic unit. 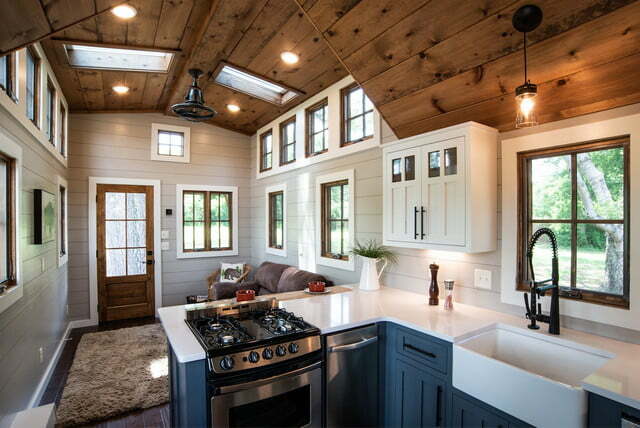 The company can build them pretty fast — Timbercraft says they can have your (big) tiny house finished within eight to 10 weeks from the time they start, although they recommend new clients contact them six to nine months before landing on the build schedule. Their sweet spot is building shell homes that can be finished out by the owner that includes wiring, plumbing and insulation but doesn’t manage wall coverings, floors, or fixtures. But the company has the capacity to add non-standard features to any of their offerings including attractive amenities like a composting toilet, grey water system, or wiring for solar panels for clients that want to go off-grid. They can also do TV or cable hookups and appliances like washer/dryers, an electric cooktop, a gas range, and a propane heater for those who aren’t ready to give up the amenities of civilization.